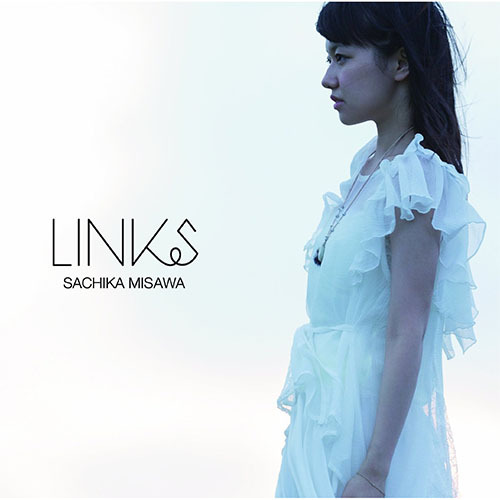 Single release from Sachika Misawa, titled Links, is the ED2 for the anime series Toaru Kagaku no Railgun S. Will be out on 21 August 2013. Three Editions available for preorder: Limited Edition A, Limited Edition B and Regular Edition. Limited Edition comes with a DVD containing the PV of Links. Character Songs 5th Grade Basketball Team featuring seiyuu for the anime series Ro-Kyu-Bu! SS will be out on 21 August 2013. Only 1 type of edition available for preorder. Volume 9 release of the anime series Magi: The Labyrinth of Magic will be out on 21 August 2013. Contains Episodes 21-23. Three Editions available for preorder: Blu-ray [Limited Release], DVD [Limited Edition] and DVD [Regular Edition]. Limited releases comes with setting book vol.7, character song CD, 3 stickers, 8-page booklet (interview of Toshifumi Akai), and jacket illustrated by the character designer Toshifumi Akai. In a fantastic middle-age world where slavery is very common, there are mysterious tall towers named “Dungeon” which mysteriously appeared out of nowhere fourteen years before the story line. Someone who conquers a Dungeon becomes very powerful and wealthy. Our hero Ali Baba is a teenager who works for merchants to support himself. He dreams for conquering a lot of Dungeons and becoming a very rich person. One day, he comes across with a strange young boy named Aladdin who carries a mystical flute with supernatural powers in it. Ali Baba and Aladdin agree to travel their first Dungeon together. Character Song 4 featuring Tsubasa Kazanari for the anime series Senki Zesshou Symphogear G will be out on 21 August 2013. Only 1 type of edition available for purchase. This release is from the seiyuu Nana Mizuki. The two new official images for the upcoming live-action adaptation film of Mobile Police Patlabor were revealed at the 14th Comic Exhibition in Taipei, Taiwan. The two images feature a giant labor that looks like the AV-98 Ingram in the original anime series. The robot was actually spotted around Yokohama area just recently, as sourced on the internet. The live-action Patlabor project was announced in March and is scheduled to be released in 2014. Single release from fripSide, titled eternal reality, is the OP2 for anime series Toaru Kagaku no Railgun S. Will be out on 21 August 2013. Three editions available for preorder: Anime Edition, Limited Edition and Regular Edition. Limited Edition and Anime Edition will come with a DVD. Details as below. Single release from cinema staff, titled great escape, is the ED2 for the anime series Shingeki no Kyojin. Will be out on 21 August 2013. Only one edition available for preorder. Single release from fhána, titled Que sera, sera, is the OP for anime series Uchouten Kazoku. Will be out on 21 August 2013. Only one edition available for preorder. The official Japanese 13-minute movie for the upcoming Final Fantasy XIV: A Realm Reborn game is now available for viewing. The game will be launched worldwide on August 27 for PS3 and PC. Anyone getting the game on launch day? Single release from Various Seiyuus, titled Arigatou. Tadaima./Bokutachi wa Ikiteiru, is the ED2 for anime series Ginga Kikoutai Majestic Prince. Will be out on 21 August 2013. Only one edition available for preorder.